Best IELTS Coaching in Delhi! For Overseas Education & a Global Career. Connect with us at Mindmine Global for IELTS Coaching. The Best IELTS Coaching in Dwarka, New Delhi. Students are always keen to achieve their target IELTS Band score. Their target IELTS Band score is driven by their requirement of Permanent Residency (PR) or Immigration or to Study Abroad. The IELTS band score eligibility criteria are given by any college, university or institution for overseas education. When students start IELTS coaching in Delhi, they often look up to a lot of online forums and videos. However, they don’t know the authenticity of the study material for IELTS or the tips and techniques to crack the IELTS Exam. In many cases, they end up losing precious time & money and forced take the test again and again. IELTS is a test which can make or break your career and future life. So why to trust someone you don’t know or someone without any credentials? It is imperative to take IELTS coaching from experienced and certified IELTS faculty. You need to choose an IELTS coaching in Delhi with a proven track record of delivering fantastic results. 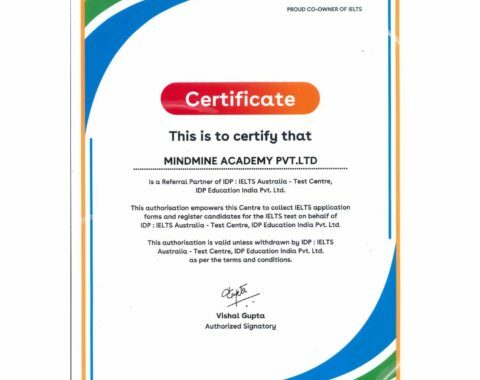 At Mindmine Global, our trainers are certified by the British Council and IDP. In fact, our trainers have been trained by IELTS Examiners from Australia and USA. Our trained faculty and fantastic results make us one of the best IELTS coaching center in Dwarka, Delhi. We also provide coaching for GMAT, GRE as well. 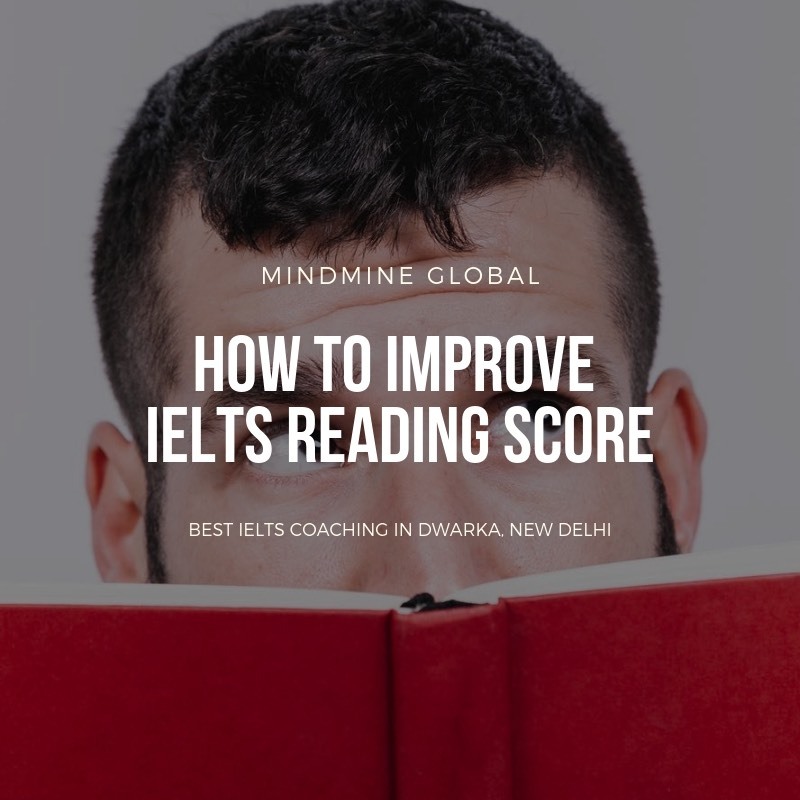 Why choose IELTS Coaching in Delhi, Dwarka by MINDMINE GLOBAL? Free IELTS Mock test to assess the proficiency level before starting the IELTS Coaching classes. British Council IELTS and IDP IELTS Authorized, IELTS Institute in Delhi. IELTS Registration Center of British Council IELTS and IDP IELTS. The best IELTS classes in Delhi certified by British Council IELTS and IDP IELTS. Latest IELTS study material and IELTS practice material on updated IELTS curriculum. Flexible batch timings – morning/evening and weekend classes for IELTS preparation. Best Institute for IELTS in Delhi that is working around the clock to make you successful. Special batches for IELTS training for General module for PR and training for IELTS Academic for Study Abroad. The best IELTS coaching classes in Delhi with consistent IELTS Band 8, IELTS Band 7 and IELTS CLB 9 scores. Regular IELTS Mock tests to keep a track of performance. Individual attention for IELTS preparation by Certified IELTS Trainers. The only IELTS coaching center in Dwarka, Delhi with state of the art audio-video facilities with AC classrooms. Faculty trained by IELTS Examiners from Australia and USA. Every student has a different requirement of IELTS coaching. Some are highly proficient and need minimum guidance while others may need to build up from the basics. Based on your requirement we create a customised program and our IELTS coaching fees is calculated. The faculty at Mindmine Global is certified by British Council and IDP. So we follow a process to first conduct a Free Mock Test of the candidate thereafter and we provide detailed feedback. The candidate understands the requirements of the IELTS test and the faculty understands the current proficiency level of the candidate and suggest the number of sessions required by him. The IELTS coaching fee is then accordingly decided as per the services to be provided, basis the proficiency level. It may range from INR 5000 to 20000 on a case to case basis. The IELTS coaching duration is dependent on many factors like candidate’s proficiency level, his availability or frequency of attending the classes (weekdays or weekends), any specific requirement like IELTS grammar classes and the actual IELTS test date. Generally, a coaching program runs for 6 to 8 weeks. We also provide IELTS crash course which can cover all the modules in 2 to 4 weeks as per the requirement. 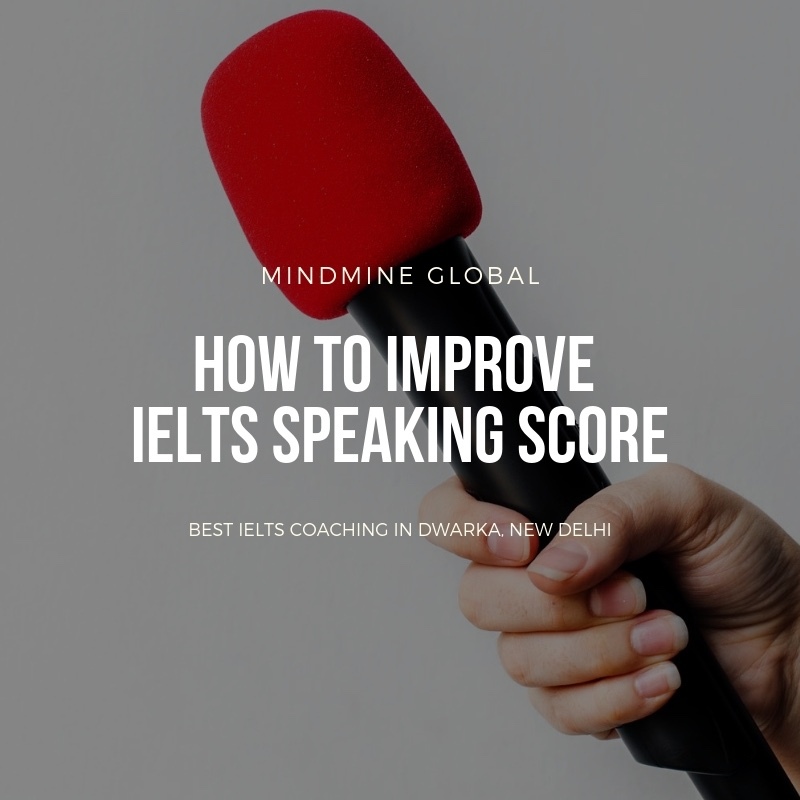 Students also opt for IELTS Mock Test series wherein they do the full test under exam conditions and then the IELTS trainers at Mindmine Global provide their valuable feedback. This can be completed in 1 – 2 weeks flat. Students can take advantage of our IELTS writing correction service. This generally takes 6 to 10 sessions covered over a period of 1- 2 weeks. We also provide module wise IELTS coaching as per the specific requirements of the client. The International English Language Testing System (IELTS) is the most popular English language test accepted in over 9000 organizations including colleges, universities, employers, professional bodies, immigration authorities or other government departments or agencies in more than 140 countries worldwide. 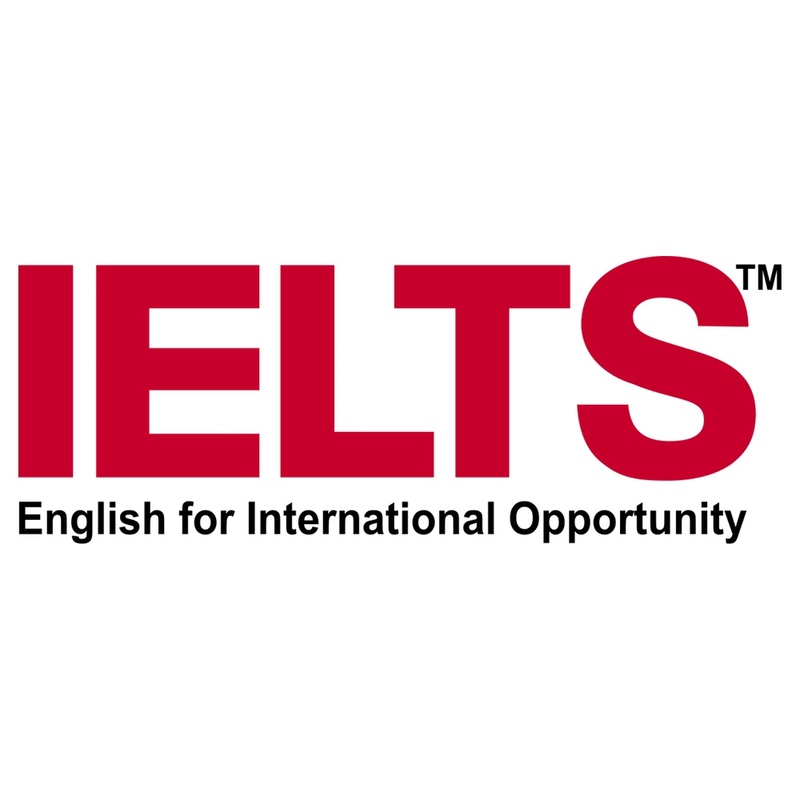 IELTS is jointly owned by British Council, IDP: Australia and Cambridge English Language Assessment. 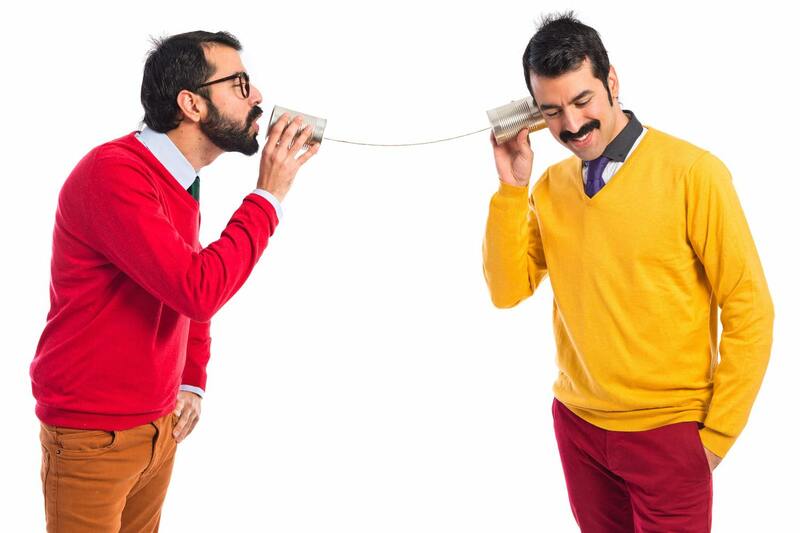 IELTS test has four sections – listening, reading, writing and speaking. It assesses the language ability of candidates aspiring to pursue further study or work in a country where English is used as a language of communication. The IELTS score is given on a band scale ranging from 0-9, with 9 (expert user) being the highest band and 1 band is given to a non-user. 0 band score is given if the test is not attempted. A candidate is expected to have an overall high proficiency in IELTS grammar, reading, writing, listening and speaking skills. Lots of consistent hard work and practice is required under the guidance of a certified IELTS teacher to achieve a high IELTS Band score. Our trainers understand your learning style, strengths and weakness and make the study plan which suits your requirements. IELTS test is available in two formats – IELTS Academic and IELTS General Training. IELTS Academic is taken by students aspiring to pursue studies (undergraduate or postgraduate) in an English speaking country or for professional registration. It assesses the ability of a candidate to study or get trained in English speaking conditions. The band score requirement for admission in foreign colleges and universities can vary as per the requirements of a particular course or college or country. In general, there is a higher band score requirement in postgraduate courses. Students have an option to choose up to five organizations or institutes to which their IELTS test results will be sent directly and free of cost. Students preparing for IELTS for Study Abroad after 12th or IELTS for Study Abroad after graduation generally need lower IELTS score ranging from 6 Bands to 8 Bands. However, they are generally not exposed to international standard tests like the IELTS. They often feel nervous or are not confident to appear for the test especially the IELTS Speaking module. Our faculty makes sure that all the students are exam ready and confident. We do regular counselling and prepare them for what to do on the IELTS exam day. Looking for the Best IELTS coaching centre in Delhi, Connect with us now! IELTS General Training is taken by candidates to want to migrate to countries like Canada, Australia, New Zealand and UK etc. The band score requirement for immigration may vary under different programs of various countries. Many students are preparing for CLB9 in IELTS General Training. Majority of them are professionals who do not get much time to prepare. Self-study for a score of 8-7-7-7 for Canada PR or 7-8 Bands for Australia immigration is not a good idea. Even if you have a good proficiency in English, you need professional guidance of certified IELTS teachers to achieve the desired band score. Mindmine Academy provides the best IELTS tutorial in Dwarka for IELTS General Training. We understand the requirements of working professionals and have flexible batch timings with small batches. You can join for the morning, afternoon, and evening or weekend batches. We also offer Online Coaching for IELTS for students who are not able to join classroom training for IELTS due to time or distance constraints. We always tell our students that IELTS is not just a test of English, it is a test of how well you know this test. Of course, a candidate needs a higher level of proficiency to achieve CLB9 in IELTS General Training; however, knowledge of the test structure of IELTS, its question formats and time management are the key attributes required to crack IELTS in Dwarka in the first attempt. Our experienced IELTS Dwarka, trainers help you to understand the nuances of the IELTS exam so that you feel at home on the exam day. IELTS exam assesses the four language skills ie reading, writing, listening and speaking and is designed to accurately reflect the real-life use of English while studying or working abroad. 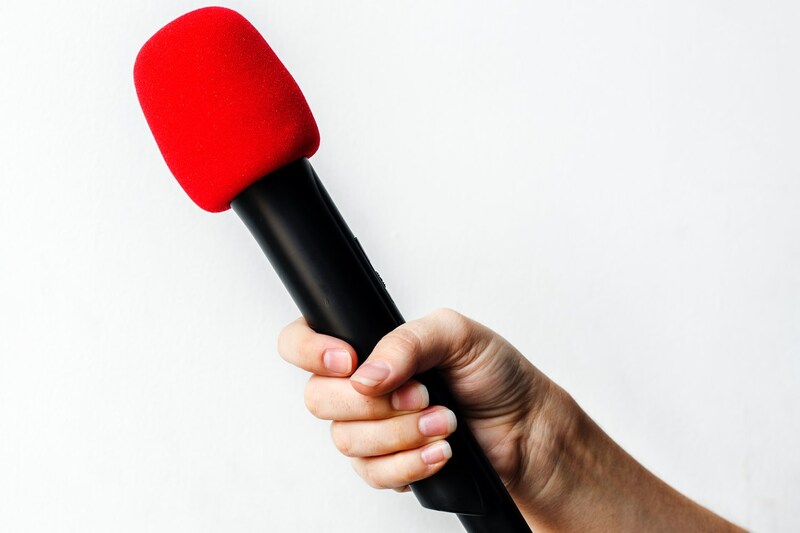 The Listening and Speaking tests are same for IELTS Academic test and IELTS General Training, however, the Reading and Writing sections have different content and requirements. The duration of the IELTS exam is 2 hours and 45 minutes. Listening is the first module of the IELTS exam and it is the most critical one as the audio is played only once. It is critical to work on your concentration skills and understand the tips and techniques for IELTS listening section. The certified trainers at Mindmine Academy help you to prepare well for this section. Many students of Mindmine Academy have achieved band 9 in the listening section. 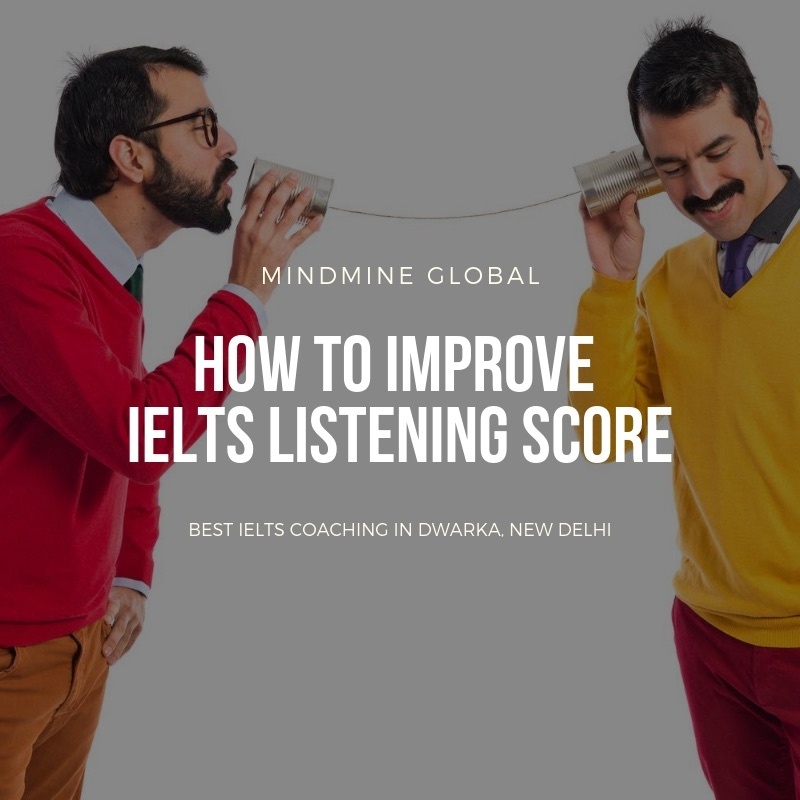 Students often find it difficult to keep pace with the audio or often ask – how to solve multiple choice questions (MSQ’s) in IELTS listening sections. We handhold them at each step so that they use the latest techniques to score high in IELTS listening. It is important to understand the IELTS listening test format. So if you are looking for best IELTS Coaching in Dwarka Sector 7, contact us now. How to solve True-False-Not Given questions in IELTS reading? The way to solve Yes-No-Not Given questions in IELTS reading? How to solve Match the headings questions in IELTS reading? Students often find it difficult to crack these questions. We have experienced trainers who have been trained by IELTS experts from Australia and USA who understand the requirements of the students so that they score high in the IELTS reading. Many of our students have achieved band 9 in IELTS reading. So if you are looking for best IELTS coaching in India, contact us now. Test takers often complain that they had done everything well but still got 6-6.5 bands in IELTS writing test. 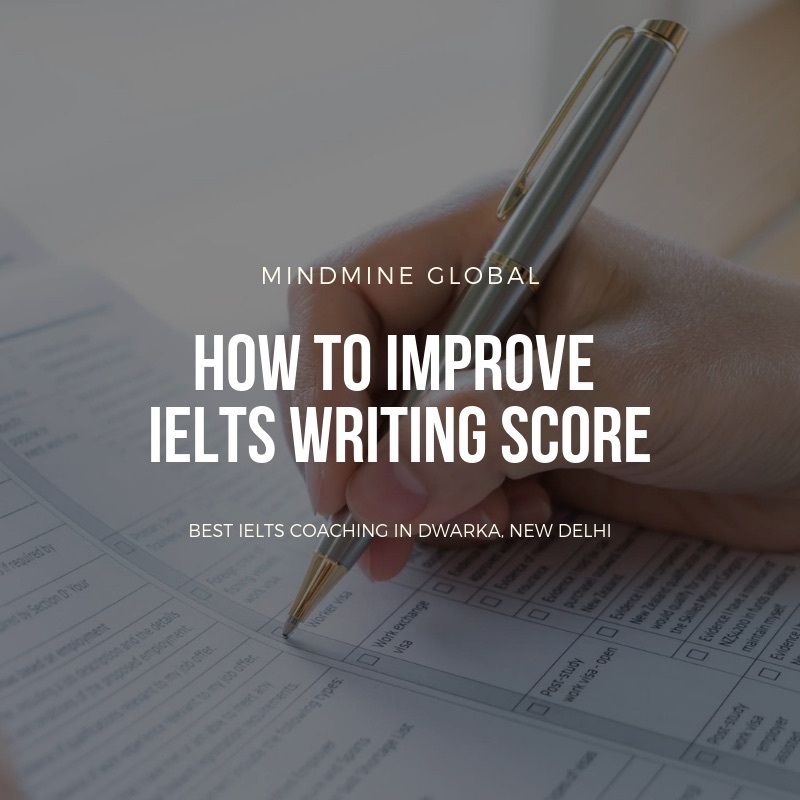 How to improve scores in IELTS writing? The answer is – practice with a purpose! It is not the writing that we do in our daily life, not the e-mails that we write or the conversations we have on social media messengers. IELTS writing is a serious business. Our Certified Trainers from British Council and IDP understand the intricacies of the assessment of IELTS writing and provide feedback based on assessment criteria of IELTS writing. At Mindmine Academy, each writing task is efficiently evaluated and constructive feedback is given which results in higher band scores. Many of our students who were scoring 6-6.5 bands in IELTS writing have scored 7-7.5 bands after following the tips and techniques of IELTS writing shared in the IELTS classes of Mindmine Academy. Special sessions of Grammar are provided to weaker students. Looking for the best IELTS classes for writing – Contact us now! Many of us have a good command over English speaking while some struggle to be confident while speaking in English. 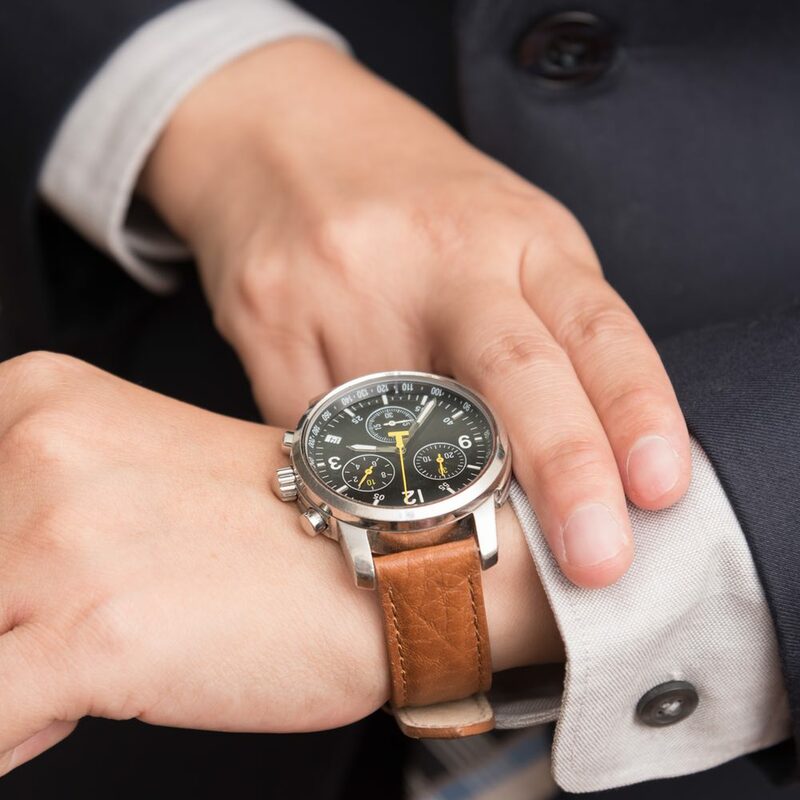 However, when it comes to speaking in a face to face interview or speaking under examination conditions – all of us feel some kind of an anxiety or stress. We are the best IELTS coaching centre in Delhi, where you can be assured to put these concerns to rest. We make the students comfortable by training them with the right techniques for IELTS speaking test. Our faculty starts supporting with grammar classes (if required) and practising with one-to-one speaking practice sessions. We understand that each individual is at a different level of proficiency so everyone requires a unique training program to score high in IELTS speaking. Special attention is paid towards IELTS speaking practice and each individual is tested many times to prepare him for the actual test. Feedback is provided for each and every test so that we provide the best IELTS tutorials. Contact us for the best IELTS Coaching in Dwarka Sector 7. There are many factors which make any institute the best IELTS coaching Institute. Candidates often look at the fee that they would have to shell out or the distance they need to travel. Some completely avoid this and prepare on their own, taking help from online study materials for IELTS or the neighbourhood English teacher. 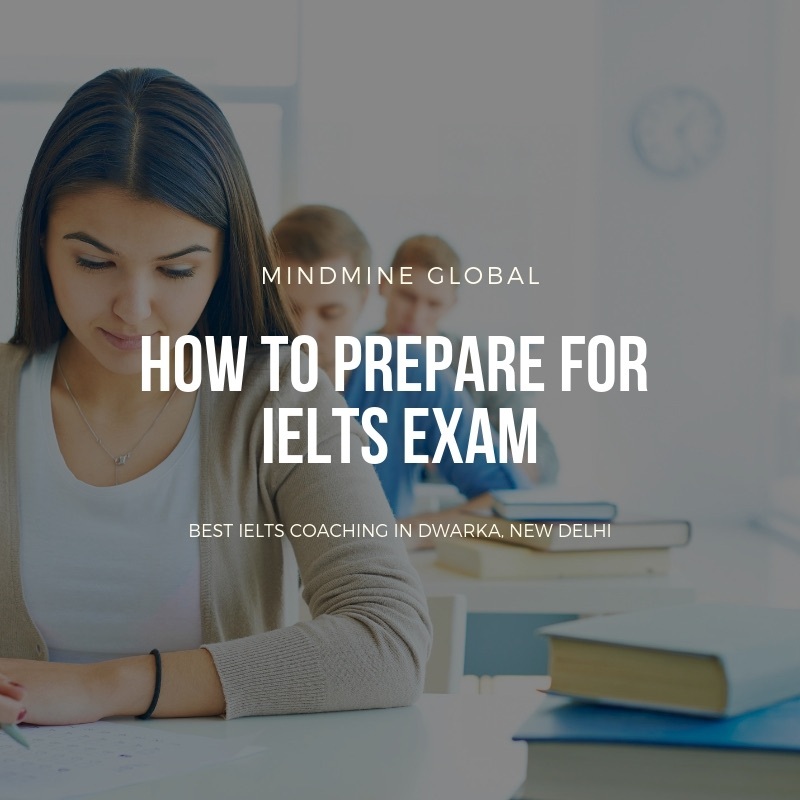 While all this constitute for a perfect recipe for disaster, there exists a rare breed of professionals who put their heart and soul into the coaching of seemingly easy but often difficult to crack – IELTS exam. 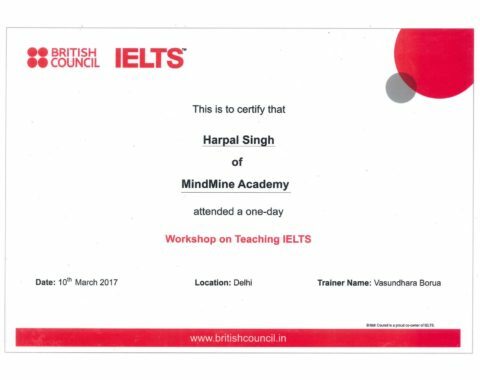 This is what makes Mindmine Global the best Institute for IELTS in Delhi NCR. Top Notch Faculty – The trainers are highly qualified and certified by both British Council and IDP. In fact, they are trained by IELTS Examiners from Australia and USA. You will rarely find IELTS trainers with such credentials. They are passionate about the exam and prepare students with all the ammunition required to win this battle of IELTS. They keep attending various training and seminars to have an up to date knowledge about the IELTS exam. Quality Study Material – It just doesn’t stop at the series of Cambridge books! Mindmine Global uses and provides well researched, effective and extensive study material to improve score in IELTS exam. A lot of extra activities, worksheets, checklists and vocabulary building exercises are provided for the best preparation for IELTS in Delhi. Pre-course Assessment – Every candidate is assessed before the starting of IELTS classes. This free of cost service is provided to accurately assess the current proficiency level and the IELTS Exam coaching program is designed accordingly as per the individual needs of the students. Often separate batches are run for weaker students. The three above makes us the best IELTS preparation institute in Delhi. Teacher to Students Ratio – Students miss important concepts where the batch size is large and many times they feel uncomfortable to ask questions to clear the doubts. 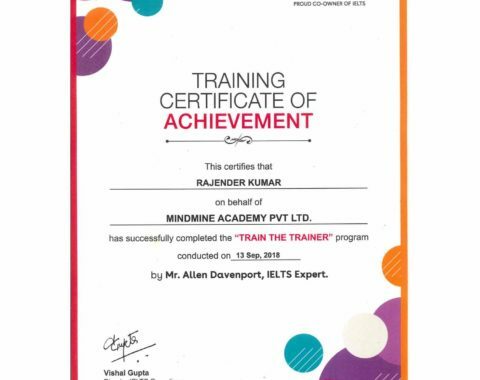 IELTS training at Mindmine Global is done is the very small size of 1-4 students enabling healthy interaction with individual attention resulting in the effective IELTS preparation. You can check the reviews of students who vouch for the hard work done by the faculty. Audio-Visual Equipped Classrooms – The best IELTS preparation is done in comfortable, air-conditioned and neat and clean classrooms. All the rooms are equipped with the latest state of the art audio visual learning aids. The IELTS teachers extensively use this for various modules of IELTS exam. Flexible Timings – Students have the flexibility to join morning, afternoon and evening batches. Special weekend classes for IELTS are conducted for working professionals. Majority of the candidates who are applying for Canada immigration are working professionals who ask for evening or weekend tutorials for IELTS. The idea is to make a concentrated effort in a small group rather than stuffing more and more students in a single batch which makes Mindmine Global the best institute for IELTS preparation. Online IELTS Exam Coaching – Students who cannot join classroom coaching of IELTS due to distance, odd job timings or other issues can opt for online IELTS preparation from Mindmine Global. An effective and personalised IELTS training is provided mostly on a one-to-one basis and the student never misses the classroom environment. The learning is effective and time-saving. Other Services – Mindmine Global not only provides the best IELTS reparation in Delhi but also offers professional services for Canada Immigration and Study in Canada. Many students have realised their dream to migrate to Canada from India with the help of Mindmine Global immigration services. Our services makes us the best IELTS preparation institute in Delhi. So go ahead – book an appointment with the experienced counsellors and achieve your desired IELTS bands score target to immigrate to Canada or Study in Canada. 1. How to score Band 9 in IELTS? Students are always keen to achieve their target IELTS Band score which is based on their requirement. It can be IELTS for Permanent Residency or PR or Immigration or it may be as per the eligibility criteria given by any college, university or institution for overseas education. It is imperative to take IELTS coaching classes from experienced and certified IELTS faculty or an IELTS training institute which has aproven track record of delivering fantastic IELTS results. A candidate is expected to have an overall high proficiency in IELTS grammar, reading, writing, listening and speaking skills. Lots of consistent hard work and practice is required under the guidance of a certified IELTS teacher to achieve a high IELTS Band score. 2. How to score Band 9 in IELTS Listening? Listening is the first section of the IELTS test and it lasts for 30 minutes followed by 10 minutes of extra transfer time. It has 40 questions of 1 mark each. A candidate needs to have an exposure to various English accents like British, American and Australian to name a few. A high level of concentration coupled with tips and tricks for IELTS listening section is required to crack this section. You can join our special IELTS training courses and achieve your target band score. We provide practical classroom coaching for IELTS listening section with high-quality headphones in an exam like environment. You can also join for IELTS Section specific classes as well. Many of our students have achieved Band 9 in IELTS Listening. Listening Test is same for IELTS General Training and IELTS Academic Module. 3. How to score Band 9 in IELTS Reading? 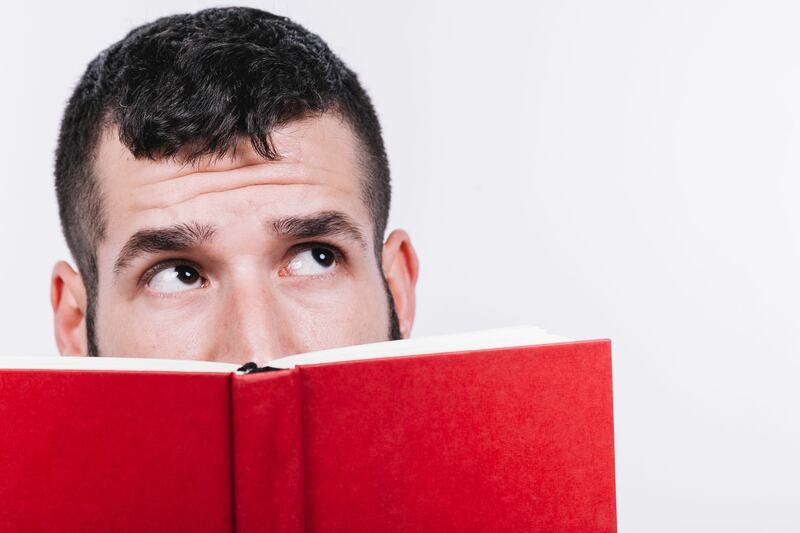 Reading is the second section of the IELTS exam and it lasts for 60 minutes without any extra transfer time. It has 40 questions of 1 mark each. A candidate needs to develop a habit of reading English through various sources like newspapers, books, articles and journals etc. Students who are slow in reading or have not scored well earlier can take the help of tips and tricks for IELTS reading section to score well in this section. You can join our special IELTS training course and achieve your target band score. You can also join our IELTS Exam Coaching Center for section-specific classes as well. Many of our students have achieved Band 9 in IELTS Reading. Reading Test is different for IELTS General Training and IELTS academic module. 4. How to score Band 9 in IELTS Writing? Writing is the third section of the IELTS exam and it lasts for 60 minutes. Reading Test is different for IELTS General Training and IELTS academic module. IELTS Academic Module has two tasks. Task 1 is the description of a given graph or chart etc. which needs to be completed in 20 minutes with a minimum of 150 words. IELTS Academic Writing Task 2 requires you to write an essay on the given topic. This has to be completed in 40 minutes with at least 250 words. IELTS General Training Module has two tasks. Task 1 is about writing a formal, semi-formal or informal/casual letter which needs to be completed in 20 minutes with at least 150 words. IELTS General Writing Task 2 requires you to write an essay on the given topic. This has to be completed in 40 minutes with a minimum of 250 words. A candidate is required to have a good command over grammar and a range of vocabulary with an ability to logically organize his ideas to achieve a high band score in IELTS writing section. Our experienced IELTS faculty provides with tips and techniques for writing along with constant feedback so that the quality of writing goes really high as per the IELTS benchmarks. You can also join for IELTS training courses for a specific section as well. Many of our students have achieved Band 7, Band 7.5 and Band 8 in IELTS Writing. 5. How to score Band 9 in IELTS Speaking? IELTS Speaking test is of only 11-14 minutes and it is conducted within 7 days prior to or after the LRW test date. 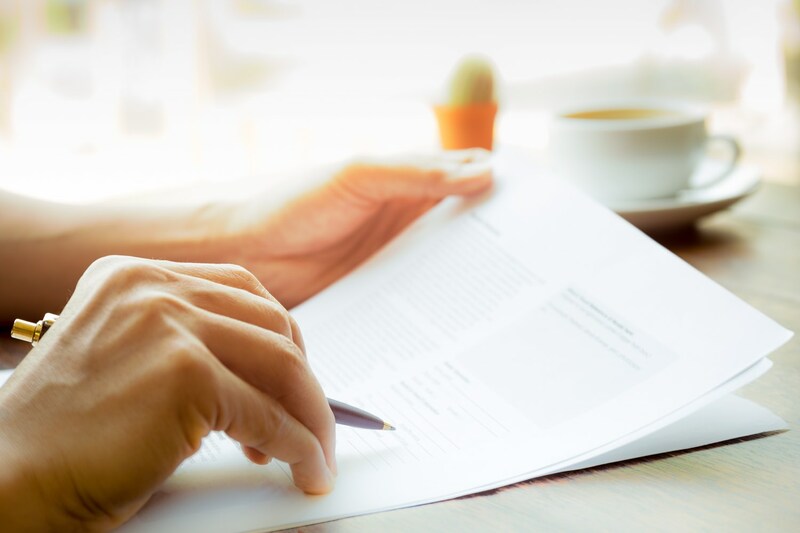 The test evaluates a candidate’s fluency, grammar, vocabulary and the ability to clearly express and expand his ideas with an accurate pronunciation of words. Our certified IELTS Tutors provide extensive practice sessions on speaking and especially on IELTS Speaking Cue Card or the IELTS Speaking Long Turn to achieve a high band score in IELTS speaking section. Our dedicated IELTS trainers also provide the students with tips and techniques for speaking along with constant feedback so that the quality of speaking test response goes really high as per the IELTS standards. You can also join for IELTS tuition classes for a specific section as well. Many of our students have achieved Band 7, Band 7.5, Band 8 and Band 8.5 in IELTS Speaking. IELTS – The International English Language Testing System is a test that measures the English language proficiency of people who want to study or work where English is used as a language of communication. IELTS has two test formats – Academic or General. The IELTS tests the English proficiency in listening, reading, writing and speaking. IELTS result is provided in bands 1 to 9; with 9 band being the highest and 1 band being the lowest. IELTS is a 3 hours test. I wasn’t doing good with my writing part of the test and Mr. harpal was able to help find my weakness and helped me overcome it. Without his guidance I wouldn’t have been able to perform well in exam. Completed my application part with mindmine academy two months ago. Overall experience with mindmine was very professional and comforting at the same time. Classes were quite lively and studies was never that much fun for me. Application part was very professional and was kept in line with regualar follow ups. Keeping in mind the tight schedule because of my job they helped me with flexible timmings as per my convinience. I’ve been with Mindmine academy only for a month, I have been so amazed and impressed with the organisation. The faculty is supportive n always ready to co-operate at any point of time. I would strongly recommend this institute for those who want to prepare for IELTS with proper guidance and unique techniques. It has been a great knowledgeable experience for me. Lastly,i would like to thank Mr.Harpal for his dedication n support as a mentor. Wish you luck for future endeavours. Just one word …… Awesome. Mindmine academy has given me the right training in order to get the best score. The faculty is great, the classrooms are well maintained. They have helped me learn so much more than what CBSE offers to English students. The class involved solving sample papers, watching videos and discussing topics. Truly the most memorable experience of my senior year. Simply amazing, harpal sir is a great teacher and actually puts a lot of effort with his students. The faculty was very supportive. Helped me with every doubt and provided me a strong base for IELTS. Tests and feedback helped me to improve score from 7 to 8 bands. I came to know about Mindmine Global. I am proud to have relied on them for pursuing study abroad. They assisted me through the entire procedure and helped me get through the college in New Zealand. The pressure from me and my family on them was immense. However, all they did was to make us feel relaxed and comfortable through the process of issuing my student visa. I am fortunate to have reached the right place to pursue higher education abroad. I feel blessed to have been under the guidance of Mindmine Global. They have been with me throughout. They cared for me. The counsellors were extremely helpful. I am failing short of words to express my heartiest thanks to Mindmine Global. I wish them the best in all their endeavors in future. I have been very comfortable with Mindmine Global. It has been a very smooth journey for me. It was not easy for me to finalize on an institute abroad. MSA professionals were very patient with me. They completely understood my confused state of mind. They supported and guided me through choosing the right country, institute and course. They did not forget me once I left the country. They stayed in touch and ensured a comfortable journey for me. Thanks Mindmine Global. Mindmine Global is a division of Mindmine Academy™, an ISO 9001:2008 certified Pvt. Ltd. company founded by a team of highly qualified professionals having decades of experience in education and counselling, and are passionate about providing innovative solutions to the new age learners. We are dedicated to promote and provide professional counselling and mentoring for Immigration and Study Abroad opportunities. We also help the students & professionals to prepare for the exams like IELTS, TOEFL, PTE, SAT etc. We have experienced faculty certified by British Council and IDP for IELTS, certified by Pearson for PTE Academic test and by iBT for TOEFL.